Announcing Full Moonâ€™s first in-house publishing company & fully curated Comic Book line: FULL MOON COMIX! 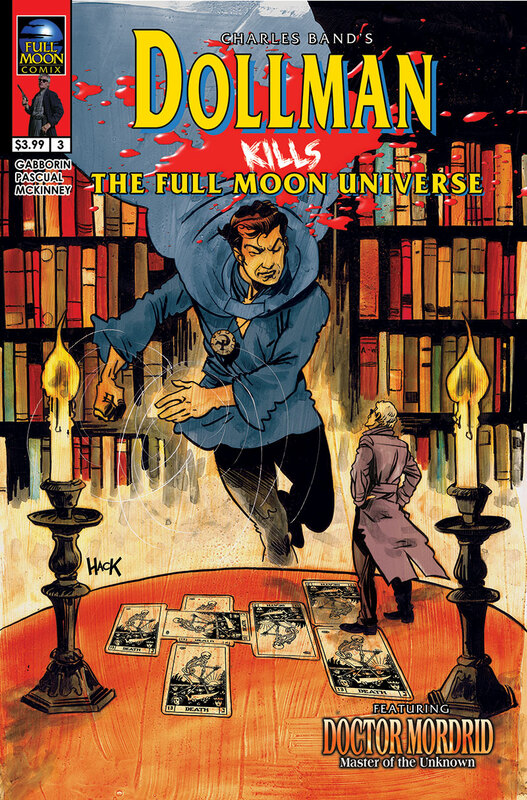 It all begins with the title â€œDollman Kills the Full Moon Universeâ€, a 6 part series, featuring cover art by comic book legends. Issue #3 is in stores October 1st and available NOW exclusively at FullMoonDirect.